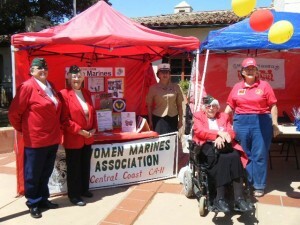 We were excited to receive a note this week from Soledad Kennedy of the Central Coast Chapter of the Women Marines Association, who shared that a gift basket featuring Jarhead Red was big hit at a recent fundraising event. Soledad (pictured here in uniform) also said that Jarhead Red will be included in a gift basket at the Santa Maria Marine Birthday Ball at the Radisson Hotel in Santa Maria on November 9. We are honored to have our wine included in their events!